Thank you guys so much for wishing me luck on all my interviews. They all went really well, and I actually ended up being accepted by all the schools. Yeah, I can't believe it either! What's even more amazing is that I may be moving to New York City for optometry school next year! It's every fashion-obsessed girl's dream, and I'm absolutely in love with the school. Ridiculously excited to embark on this new chapter of my life. Until then, let the senioritis begin. Congratulations on being accepted to all you applied for! I hope decisions won't be too stressful! Love the jacket, really makes the outfit I think! i love the bright blue!! Amazing outfit! The skirt is fantastic. um, CONGRATS! How freaking awesome! I'm so jealous of your big move! Wish I could join in the city that never sleeps! Ah congratulations!!! This outfit is adorable, I love the kimono. WOW congrats on everything girll!! You must be so happy :) And I love the kimono!! Ahhh, I love the pop of blue in our outfit! Love your kimono! It's so pretty! And I wanted to get that floral platforms too! But at 4/5" I'm too afraid that I'll topple over. Gahhh. congrats my love. i would love to visit ny one day and maybe even live there too so you are one lucky duck. so happy for you and being accepted by all the schools you applied to, great job! i love school =) and i also love your look! especially your kimono! hope that your weekend is going well babe. talk with you soon! those mary janes are just darling:) and NYC is amazing--so jealous!! 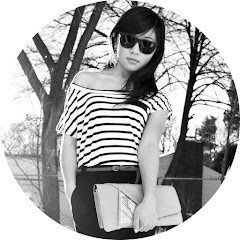 you have such a beautiful blog :) those shoes are to die for ! where'd you get them! I hav been llooking for floral heels foreverr! and goodluck with your acceptances! hopefully you move to newyork! that would be too exciting:) wish you all the best! Okay, I had to stop scrolling at this post and tell you that you have the most amazing shoes!! The blue ones were spectacular, but these flower ones are amazing as well. I have a penchant for things that are different; quirky, have you. These definitely make a statement, which is what I love about them.